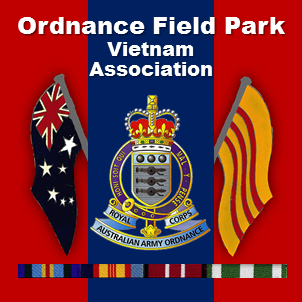 Nominal Roll – Ordnance Field Park Vietnam Assn. This Nominal Roll includes the Names of all members of the Australian Defence Force who served with the Ordnance Field Park in Vietnam between 1966 and 1972. Information used in compiling this Nominal Roll has been obtained from the publication, “The Nominal Roll of Vietnam Veterans” produced by the Department of Veterans’ Affairs, Canberra and published in August 1997. Every effort has been made to make the roll as complete and accurate as possible. Any errors or omissions are regretted. In all, some 256 Australian Regular Army personnel and National Servicemen served in the Ordnance Field Park during this period. Of this total, 98 (38%) were National Servicemen and 158 (62%) were Australian Regular Army soldiers. Click on the following link to view the list of those who served.